I won't lie Christmas is pretty exhausting. My Christmas starts on Christmas Eve where my mom and nan come over with have a bit of a buffet and the kids open the presents from them. 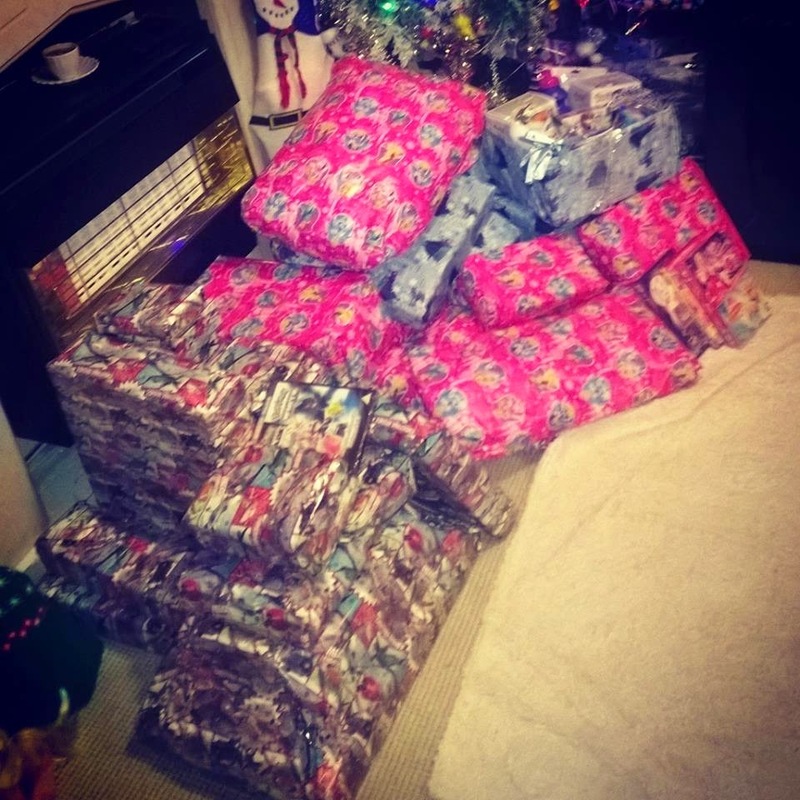 We have done this since the kids are small, both my nan and mom enjoy watching the kids open them and to be total honest it helps spread them opening a huge pile on Christmas Day. The kids are then bathed, Christmas Eve bags are given out so they can put on the new pjs. We watch a movie together with popcorn and hot chocolate. 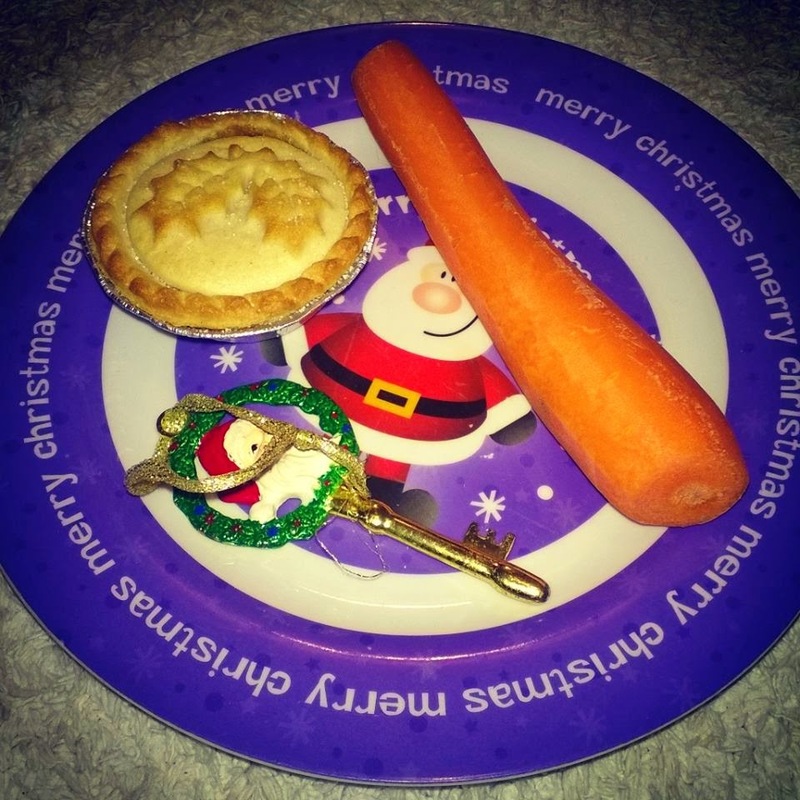 A mince pie, the magic key and a carrot are left out. Stockings are filled and presents are left out. Christmas morning started at 7am for us where my daughter came running in my bedroom ( nearly taking the door off the hinges) to shout that Santa had been. Normally we go to my OH moms for dinner, but this year. The first time ever since we have been together! Kids was super happy with all the presents went down a treat. Christmas makes me think how lucky I am to be able to spend the Christmas period with my family. How we all join together for a fabulous few days. Being a parent is truly magical at Christmas. I'm going to be really sad when the kids grow up and that magical spark will fade. I want to take this chance to say Merry Christmas to all my readers I hope you had an amazing time.